Custom homebuilder Clark Johnson, founder of Apex Mountain Homes in Silverthorne, Colorado, is living in one of his very own sustainable creations. Johnson’s states his NET ZERO home is one of the most energy efficient homes in the country, producing more energy than it consumes. “The fact that we’ve managed to construct a NET ZERO custom home is, in itself, a monumental accomplishment,” Johnson said in a press announcement, noting that a Tulikivi radiant heat fireplace is a fundamental feature in this home. Johnson is showcasing his NET ZERO home during Earth Week to educate the community on sustainable building and sustainable living. 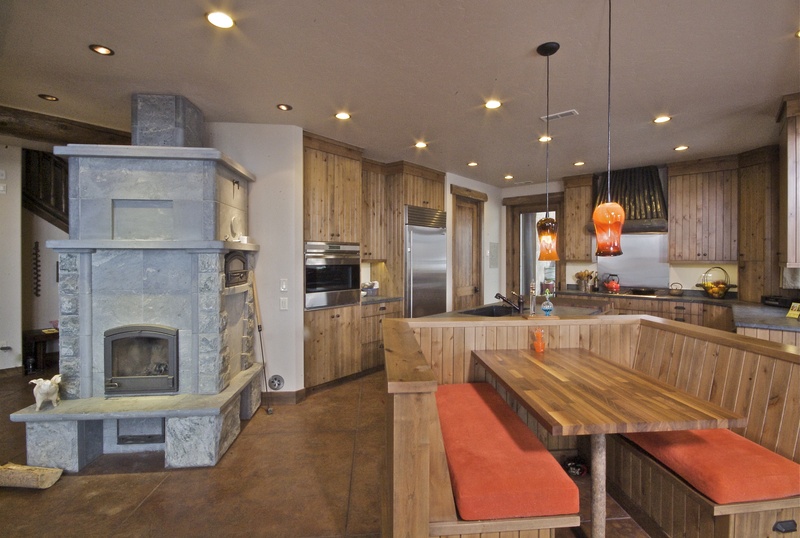 For more information, visit the Apex Mountain Homes website. Tulikivi, headquartered in Juuka, Finland, has been featured before in Green Building Elements. The company is the world’s largest manufacturer of heat-retaining fireplaces, exporting over half of its output to Europe and North America. The company’s complete range of fireplaces, are considered among the cleanest wood-burning fireplaces in the world. Tulikivi has six production plants and it employs over 500 people.